An essential oil is a liquid, really a chemical naturally extracted from plants around the world. Essential oils are also known as volatile oils, a type of oil that has a low boiling point. Essential oils are like a ‘secret ingredient’ found in most parts of the plant, however, only in minute amounts. Here is a bit of perspective: To make 16 ounces of lavender essential oil, it would require approximately 250 pounds of lavender. Every essential oil has a distinct chemical profile that defines the oil’s purpose, its fragrance and its taste – its very essence! True Essential Oils must be extracted naturally. Oils extracted by any sort of chemical process are NOT considered true essential oils. By producing highly concentrated oil, the extraction process separates the plant’s potent healing chemicals into a simple ready to use oil. Essential oils are fast becoming a cost-efficient, natural and safe alternative to treat a variety of conditions. Like most homeopathic medicines, the use of essential oils has been ongoing for many years. The chemical properties of essential oils interrelate with the human body in varied ways. 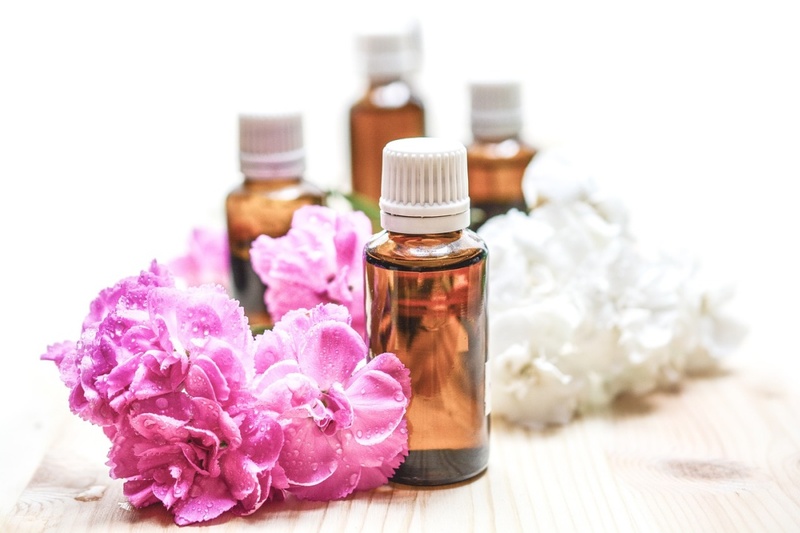 Some professionals believe that essential oils exert a physical impact on the body, although this claim has yet to receive scientific evidence to support it. Yet, it is also noted that their claim has yet to be disproved. Essential oils proficiently intermingle with your limbic system– the part of the brain that plays an integral role regarding behavior, long-term memory and one’s sense of smell. The limbic system plays a responsible role in the management of unconscious functions like your heart rate and breathing. When used in aromatherapy, essentials oils are delivered through inhalation, or on the skin in a diluted form. Essential oils often offer different healing properties when used in different locations. Are Essential Oils Safe When Combined With Other Medications Or Used During Pregnancy? Essential oils impact the organs within the human body. However, essential oils need to be tweaked for you to find a proper dosage. Remember though; each person metabolizes essential oils differently. While pregnant essential oils could cause uterine contractions or adversely affect your baby in his early developmental stages, explains Jill Edwards, N.D., an Oregon doctor of naturopathic medicine who specializes in prenatal care. “In the second and third trimesters, some essential oils are safe to use, as your baby is more developed,” Edwards adds. These include lavender, chamomile, and ylang-ylang, which calm, relax and aid sleep. Oils to be avoided include cinnamon, clove, rosemary and clary sage, all of which can cause contractions. If you have High blood pressure avoid sage and rosemary with high blood pressure medications as they could interfere with each other. While taking Epilepsy medications, Rosemary, fennel, sage, eucalyptus, hyssop, camphor, and spike lavender are not recommended as essential oils if you have epilepsy. This is because these essential oils may trigger seizures in some people with epilepsy. As such, it is best to find professional advice from a licensed practitioner who can work one-on-one with you to create a safe essential oil treatment plan. Inhalation – The inhalation technique delivers a quick, small dosage of the oil’s essence. Consider mobile inhalers for quick use. This is the least effective delivery method. 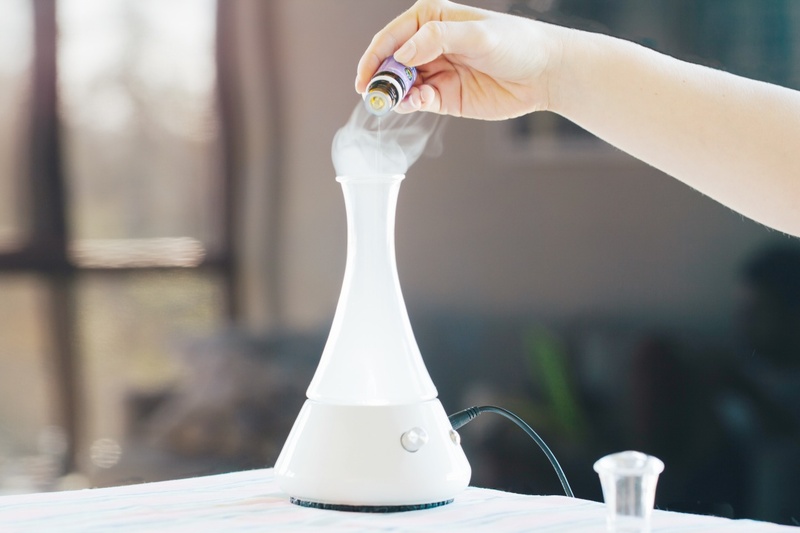 Vaporizing/Diffusing – These methods use a modest amount of the essential oil as it slowly releases the essence with the added components of humidity and negative ions. These are popular with parents who have small children and used as a calming influence. Vaporizers/Diffusers are often available with lights and soft music for an enhanced ambient feel. Cold Air Atomization – This is the newest delivery method. Essentially, a cold air pump forces the essential oil to pass through an atomizer where it becomes a micro-particle that floats about in the air. Some of the more complex cold air atomization systems have purification filters to re-circulate essential oil micro-particles. Topically – The application of essential oils is placed directly onto the localized affected area of skin. It is considered a time-tested delivery method. The oils can also be applied to wrists as a helpful way to inhale the essential oil’s fragrance over a period of time. It is advised to avoid sensitive skin areas as essential oils are incredibly potent, is best to test your skin before applying a full dose of the essential oil by diluting the essential oils with a carrier oil to avoid potential skin reactions. You are advised to only ingest essential oils under the guidance of a licensed practitioner. Supports Skin and Hair – Thickens hair and reduces skin inflammation that causes eczema, etc. One of the big things that essential oils have helped many people with is stress and PTSD for people who have had traumatic experiences in their lives. Stress is the norm in the 21st century due to work, children, school, military careers, and more people are being diagnosed with PTSD than ever before. Experts approximate that 1 in 9 women develop a post-traumatic stress disorder. Unfortunately, both stress and PTSD these have many side effects include heart disease, elevated blood pressure, and diabetes. Stress negatively impacts your body due to its overwhelming ability to create internal inflammation. The source of stress is different for each person, but history reveals that stress contributes to 75% of human disease. As you can see, essential oils can be a real benefit in many different ways in a person’s life.